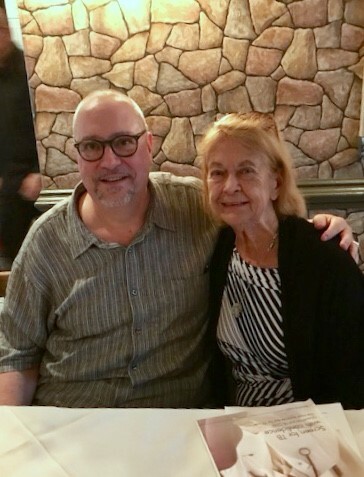 Dr. Benjamin Evans, DD, DNP, RN, APN, PHMCNS-BC, president of the New Jersey State Nurses Association (NJSNA) and Dr. Lucille A. Joel, EdD, RN, APN, FAAN. TRENTON, N.J.—Sept. 20, 2018—Dr. Benjamin Evans, president of the New Jersey State Nurses Association (NJSNA), has been recognized with the Dr. Lucille Joel Award by the American Psychiatric Nurses Association New Jersey Chapter (APNA NJ). The award recognizes distinguished service in leadership, tenacity and dedication to the field of psychiatric and mental health nursing. Lucille A. Joel, EdD, RN, APN, FAAN, is a distinguished professor specializing in psychiatric and mental health nursing at Rutgers University School of Nursing, a past president of NJSNA, the American Nurses Association and International Council for Nurses. Dr. Joel, who is a distinguished author, co-founded the Society of Psychiatric Advanced Practice Nurses. She serves as a board member on Newbridge Medical Center. Dr. Evans has more than 45 years’ experience in nursing, working in areas of chronic illness, catastrophic illness, addictions, general nursing and mental health. He serves as a nursing advisory board member, an assistant professor and advanced practice nurse track coordinator of the graduate nursing program at Felician University. In addition, Dr. Evans manages his own practice focusing on psychotherapy, medication management, counseling and educational programs. Dr. Evans has been involved with APNA NJ for more than 10 years, since he was elected to the national APNA Board of Directors. He is a current member of the organization. Dr. Evans completed a Master of Science in Counseling and a Master of Science in Nursing from the University of Evansville and a Doctor of Divinity degree from the American Institute of Holistic Theology. He is also a graduate of New York Theological Seminary with a certificate in Christian Ministry. Dr. Evans was ordained an Old Catholic priest in 1995 and consecrated a bishop in 2002. He also has earned a Doctor of Nursing Practice degree from UMDNJ School of Nursing. In addition, he is a co-author, contributor and presenter on a range of topics, including addiction, psychiatric nursing, nursing education and nursing safety in healthcare environments. 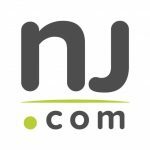 The award was announced at the APNA NJ Fall Conference in Iselin earlier this month. To learn more about the New Jersey State Nurses Association, visit www.njsna.org.